Read the from Le Nouvelliste: The petrochallengers lost control of the movement they launched about three months ago on social networks. This movement has been recovered by politicians. Main instigators of the demonstration of 18 November and the two days of strike that followed, they (the polititians) relegate the issue of PetroCaribe in the background. Their (the politicians') main demand concerns the departure of President Jovenel Moise with whom they feel they have no intention of dialogue. Have the petrochallengers lost control of the movement? Vélina Charlier of the movement #AyitiNouVleA said said on radio Magik 9 tuesday "We made the same observation that the movement was recovered by politicians." Question: Who will win their battle? 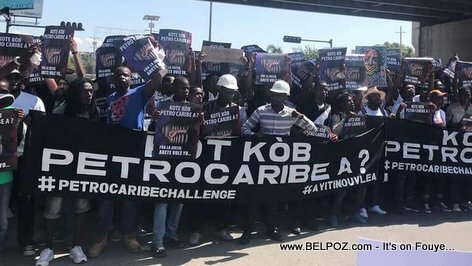 The politicians and the hidden forces who want Jovenel Moise to step down or the petrochallengers who are fighting for a just cause wanting an end to corruption in Haiti? 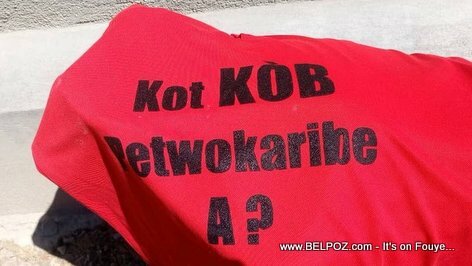 « To Hell with the Country : The Haitian Media loves a Good Crisis! The Haitian politicians and Petrochallengers should be working together, exposing all forms of govt.corruption, while holding each other accountable to the people of Haiti! Unite in one voice, start with petitioning your govt. leaders by QUIETLY collecting signatures to demand changes that are detailed and written in ink with copies! The ball is in the People's court. What are your citizen's expectations for the future of Haiti to rid itself of a devastating govt monopoly made with outsiders? What is your next step in this reform?